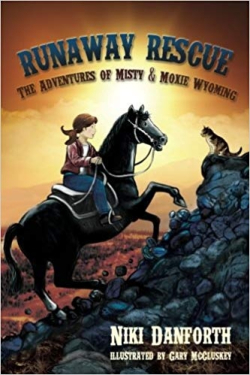 Feral cats—and danger—are everywhere… 10-year old Moxie Wyoming and her magical horse Misty are at it again in this middle grade novel with beautiful B&W illustrations. This time, it's not one, but two daring rescues! There's a family of feral cats who've taken up residence at the family ranch & are threatened by predators. But it's the urgent call to rescue a colony of city cats that requires Misty’s special powers & Moxie’s can-do attitude. Can this adventurous duo get there in time?